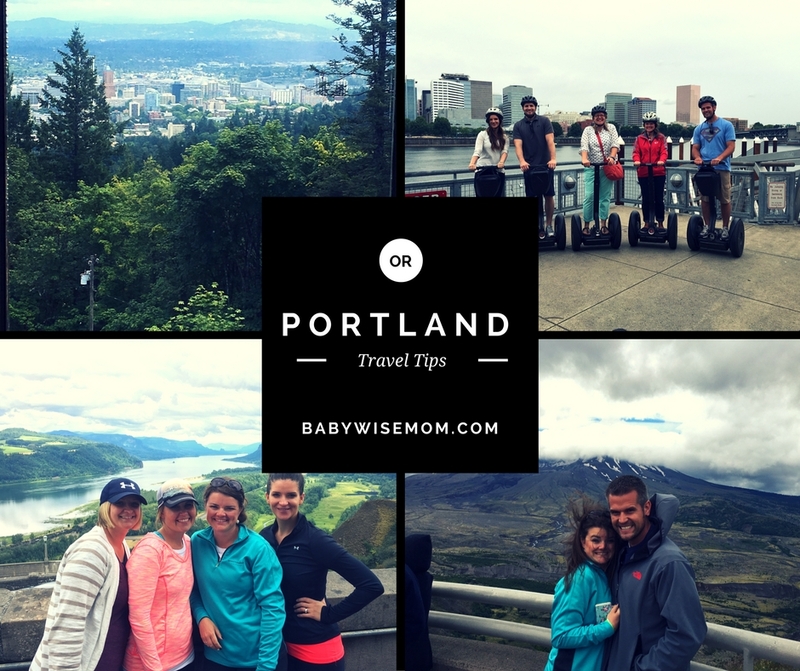 When I posted pictures of our trip to Portland, Oregon to Instagram, I got several comments from people talking about how much they love Portland. 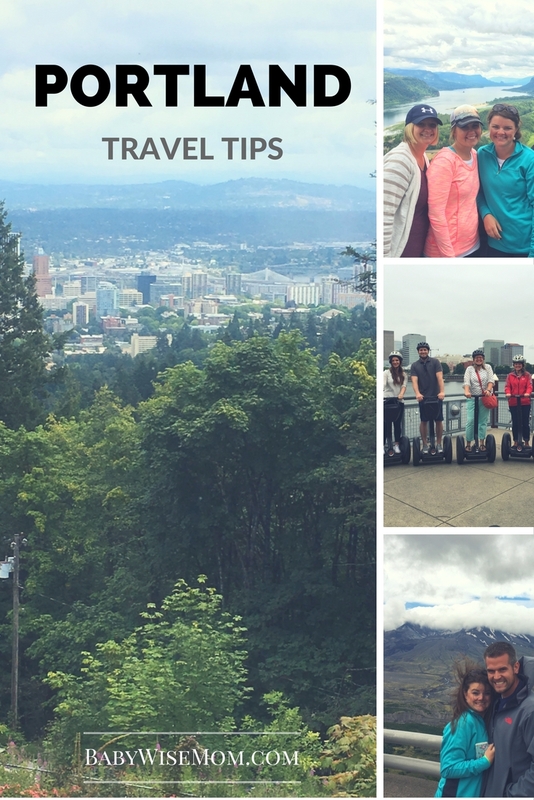 The city of Portland was not my favorite, but the surrounding area was beautiful. Nate and I went to Portland for a wedding. We went without children and were with some great friends, so we had a great time! There are some key places we want to take our children some day on a trip. Portland is a long road trip away from us, but since it was just the two of us, we flew. We went in July, which is supposed to be a time of year that the sun shines, but while we were there, it was almost always cloudy. When we landed in Portland, I noticed we went through a layer of clouds, had some open air, and then went through another layer of clouds. It was like the clouds were doing their finest to make sure the sun couldn’t reach the Earth. I am very much a sun girl. When the sun doesn’t shine for days, I get tired and introverted. The lack of sun was not fun for me. So what sites did we love? This is a book store that encompasses the entire city block. It has about one million books. It is huge. And overwhelming, but overwhelming in the best way. Imagine being on Amazon in the flesh. That is what being in that store is like. If you like books, you will want to check this store out. Yes, you read that right. Segway Tour. I had on the list of ideas a walking tour because I love to get to know a city when I visit. I like to know the culture and the history and see as much of the city as possible. One of my good friends suggested a Segway Tour. She and her husband had done one in Memphis and though it was a riot. So we gave it a shot. This was probably the highlight for Nate. A Segway is very easy to ride and you get used to it quickly. We had a little learning and practice time and then we set off around the city. We were able to cover a lot of ground in a short time. We learned some of the history of Portland and about different landmarks. Pittock Mansion is a chateau that was built in 1909. It has the absolute best views of the city. If you want to be able to see Portland, you will want to visit the mansion. It is an interesting home and we learned more interesting Portland history here. There are also some nice walking trails that lead off the mansion property. The men in our group were not terribly interested in either of these ideas, but one woman in our group went and did these gardens. She said they were beautiful and breathtaking. Pine State Biscuits: This is a famous stop for Portland eats. Voodoo Doughnuts: Not all it is cracked up to be. I feel like these are famous not because they are good, but because the toppings are weird. Blue Star Doughnuts: These were good. And a LOT more expensive than Voodoo. Also, the lines for these doughnut places are very long, so be there early. Salt & Straw Ice Cream: This was very good. The smell of the place alone is enough to make it worth it to go there. THIS is where you must spend your time. This is where there are breathtaking sites and views unique to this area of the country. 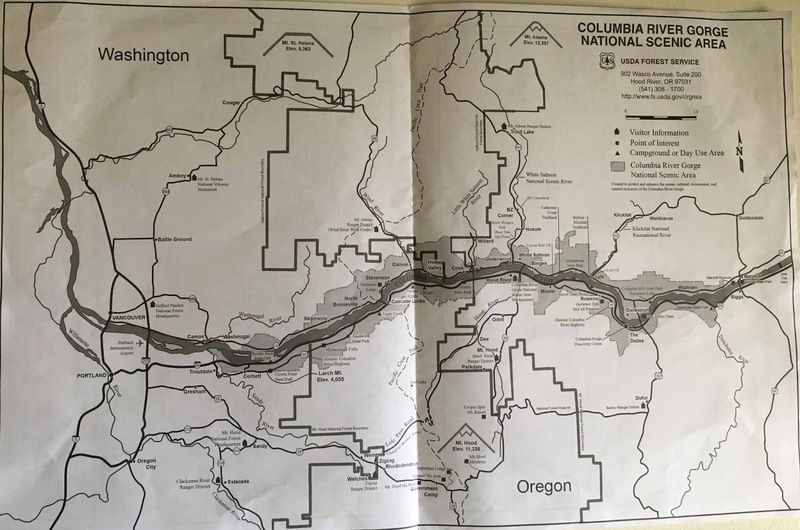 Now, I had done a lot of reading about the Portland area to get ideas of what must be done when you visit the area. On every list was Multnomah Falls. We went there and loved it. It has a short, but challenging, hike to get to the top. It was a beautiful site and we spent a fair amount of time just hanging out there. We got there first thing in the morning, which is definitely the way to go. By the time we left in the early afternoon, it was packed. As we left, I stopped at a ranger station and asked where the best place to stop would be for a great view of the area. 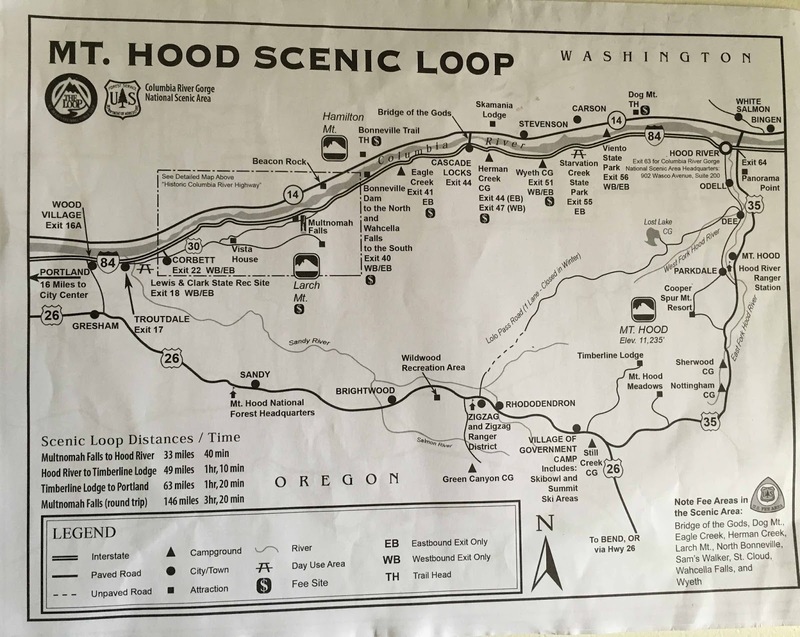 They gave me a map and told me to stop at Crown Point/Vista House. So we took the historic highway rather than the interstate and headed to Crown Point. Um, this should be on every “must-do” list of Portland. The view was incredible. The highway was incredible. There are several falls along the drive. We were sad we didn’t know that; we wouldn’t have spent the hours hanging out at Multnomah and would have visited more of the falls along the way. 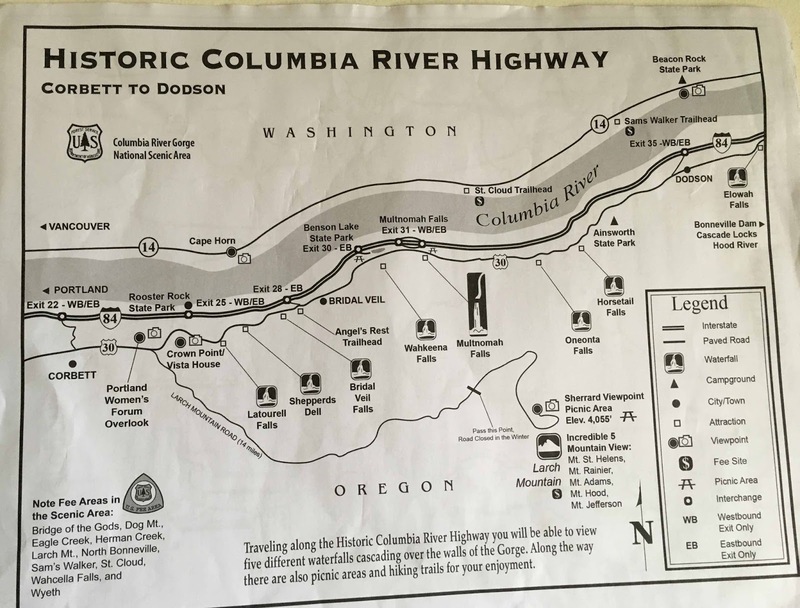 You can easily spend a day along this highway visiting the many, beautiful sites. If we had more time, this is a place I would have had us spend our time. I am including the map for your consideration. 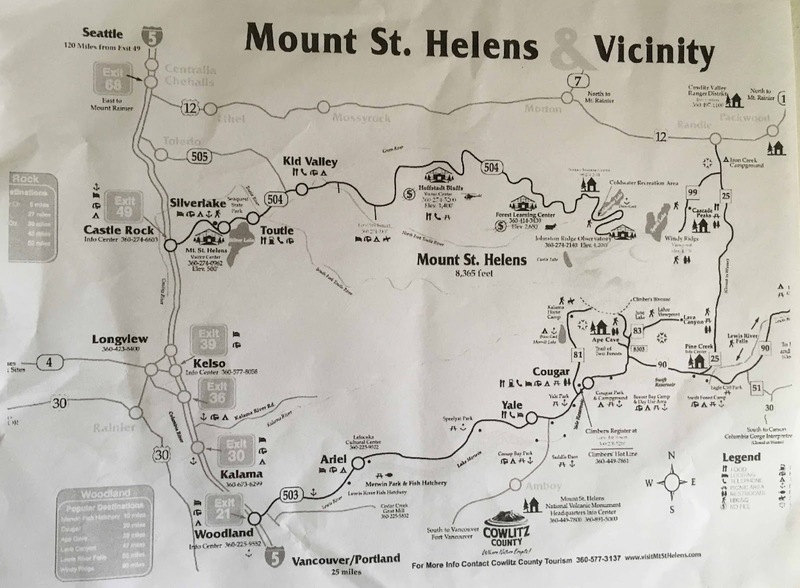 The drive from Portland to Mount St. Helens is about two hours, so it isn’t very close, but if you are willing to make the drive, it is a cool day trip. Mount St. Helens is in Washington state. It is quite the site to see. There are several places to stop and learn about the volcano and its eruption. There is also an entirely different area that has lava flows, so you could probably make two days out of it. We did the actual volcano in a half a day, but it really wasn’t enough time. This is another place I would have liked to have spent a day if we had an extra one. The Oregon coast has creameries, and Haystack Rock (located at Cannon Beach), one of the most iconic images of Oregon, is about a two hour drive from Portland. You can also find me on Instagram, posting pictures from our days. I live 15 minutes drive from downtown Portland, but we very rarely go down there anymore since some bad aggressive homeless experiences. I've read a few letters to the editor that visitors to Portland won't be coming back because of this issue. Did you feel safe?If you're in the Portland area with kiddos, I'd stick to the Old Columbia Gorge Highway + Vista House (to the east) or head to the coast; one of our favorite day trips is the Tillamook Forest Visitor Center and then on to Manzanita to build driftwood forts. Astoria, OR is also great fun with children; they have a neat playground, you can throw balsa planes off Astoria Column, maritime museum, Fort Clatsop, Fort Stevens.